May buy 1 for yourself and 1 additional as a gift. May redeem 1 per visit. Appointment required. 24 hour cancellation notice required. Must sign waiver. Consultation required. Non-candidates will be refunded. Expires 6 months after purchase. See the terms that apply to all deals. 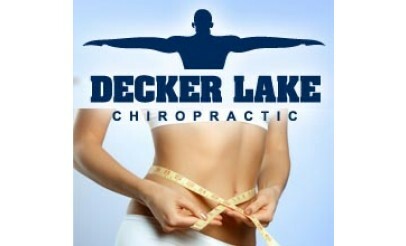 Decker Lake Chiropractic will help you look and feel better about yourself when your able to fit into those jeans that were just a bit too snug for comfort. Dr. Edward Smith has a chiropractic degree as well as a Certified Strength and Conditioning Specialist certification. His goal is to treat the cause of problems, rather than the systems. Dr. Smith offers services such as chiropractic adjustments, ultrasonic fat reduction, and massages.